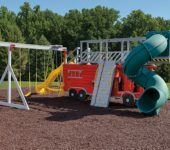 Waves and Waves of Fun! Let Them Play Like Kings! 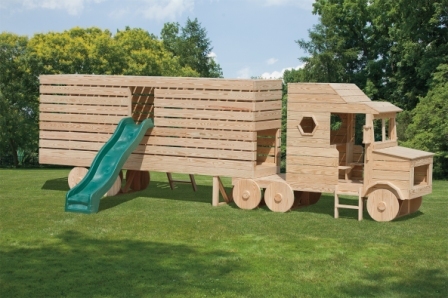 Climb on for a Load of Fun! 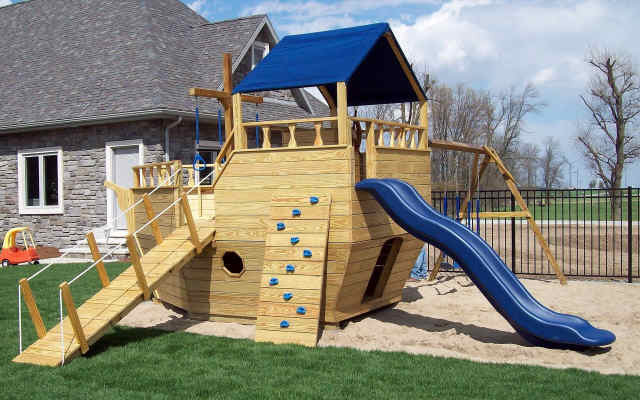 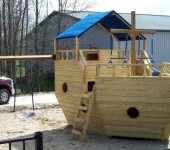 From a pirate ships to castles, Jim’s Amish Structures is proud to offer a wide range of choices. 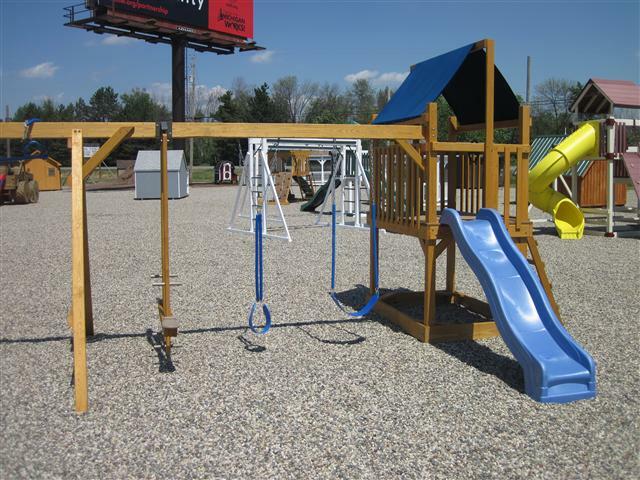 Let your backyard be the attraction of the neighborhood! 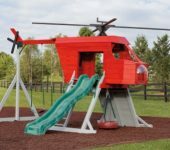 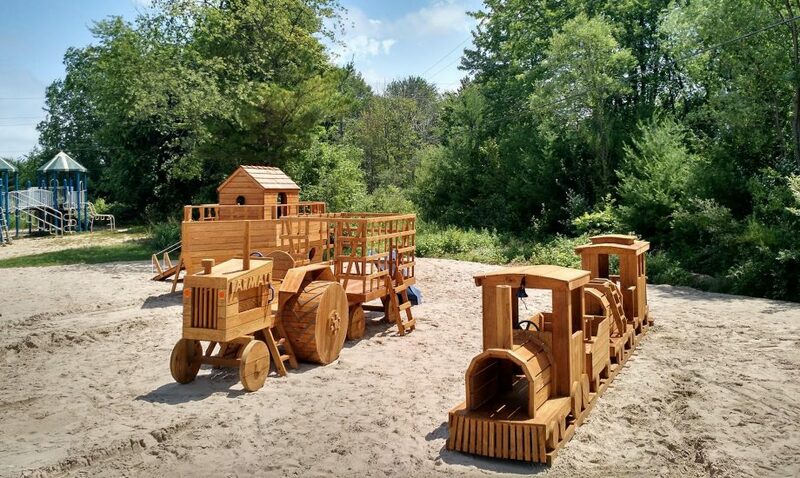 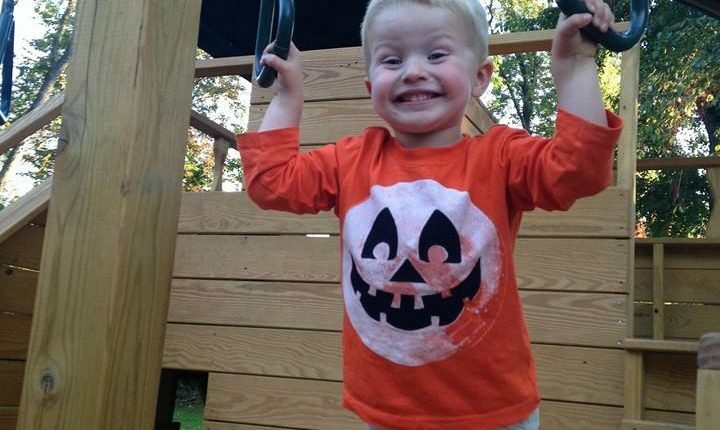 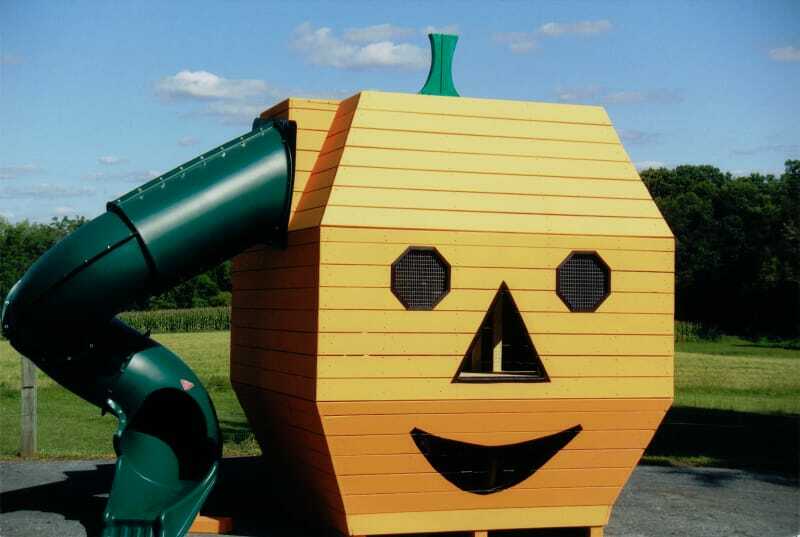 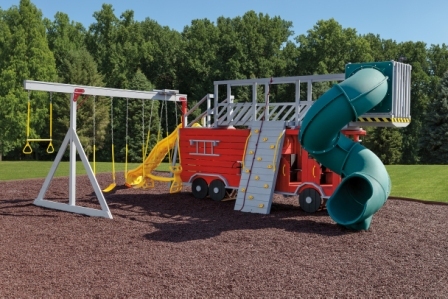 The wood used on playground items is kiln-dried before and after the pressure treatment. 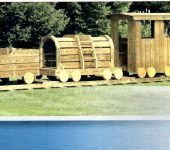 Our suppliers are using a new pressure treatment called “Natural Select Wood”, a much safer alternative to the old method. 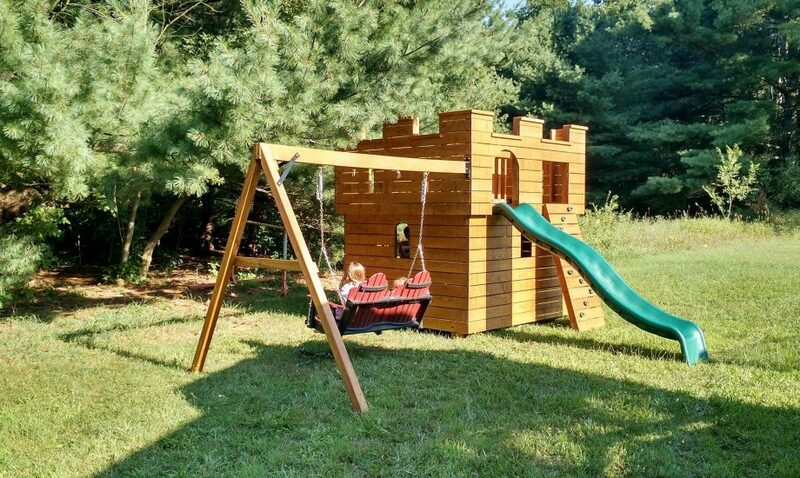 Clear Cabot Stain is also applied to protect the wood from the elements. 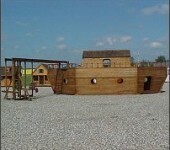 Medium Noah’s Ark- with optional climber. 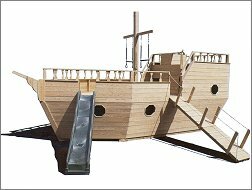 Arks are available in three sizes: Small (8′ x 16′) Medium (8′ x 22′) and and Large (8’x30′) The Arks contain a ship’s wheel, two benches in the bottom level, a premium rave slide grade 10′ slide, a 12′ ramp and a ladder. 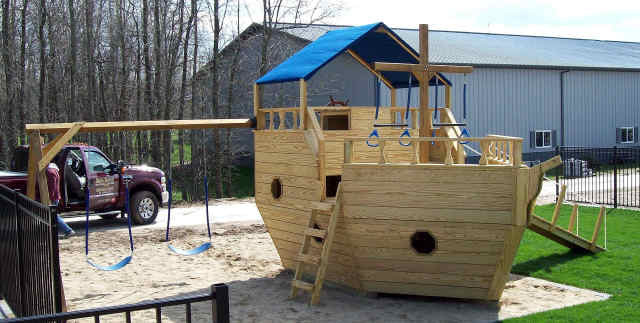 Arks may be ordered with optional swing climbers. 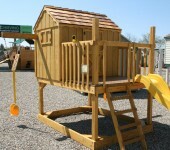 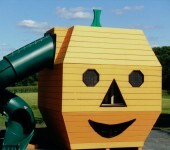 Model 2400 Playhouse and Slide- We offer 20 different models of wooden playsets similar to this one. 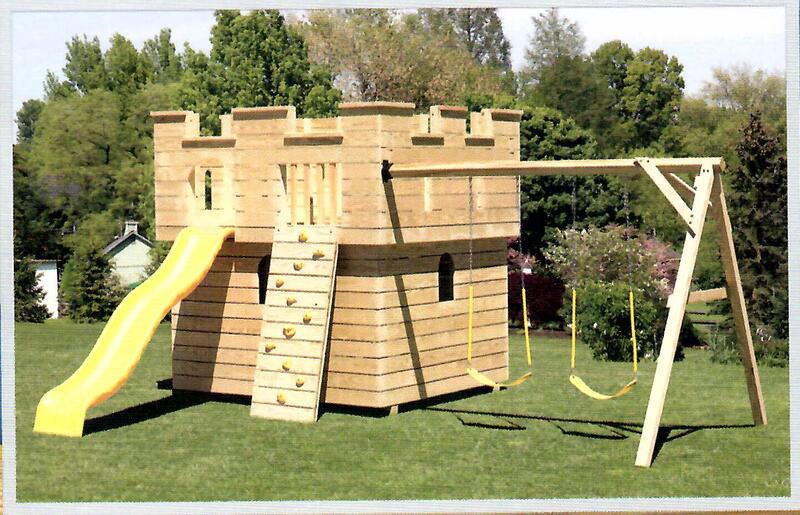 Medium Castle with optional rockwall. 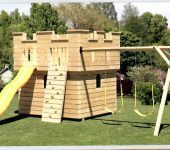 Play Castles come in three sizes: Small (7′ x 8′ x 7’9″H) Medium (8′ x 9′ x 9’2″H) and Large (8′ x 12′ x 9’H) All Castles include: 1) 10′ Slide, 1) Drawbridge, 1) Inside ladder and bench, 1) Fireman’s Pole, 1) A-Frame with 2 swings. 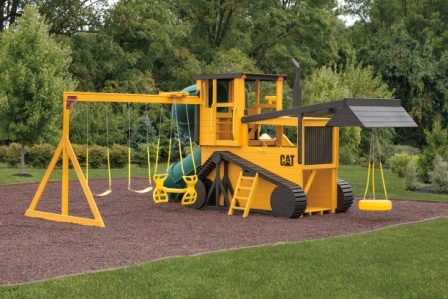 More options available. 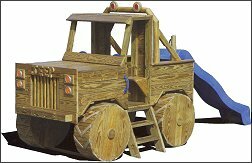 4×4 Monster Truck The 4×4 Monster Truck is 8′ x 12′ x 8′ high and includes the following: -10′ premium rave slide – Steering wheel – Stick shift and gas pedal which actually move! 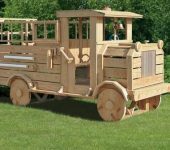 Tractor and Wagon Tractor is 5′ 9″, Wagon is 5′ 8″. 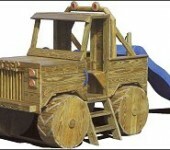 Tractor is equipped with an 8-foot slide and a plastic steering wheel. 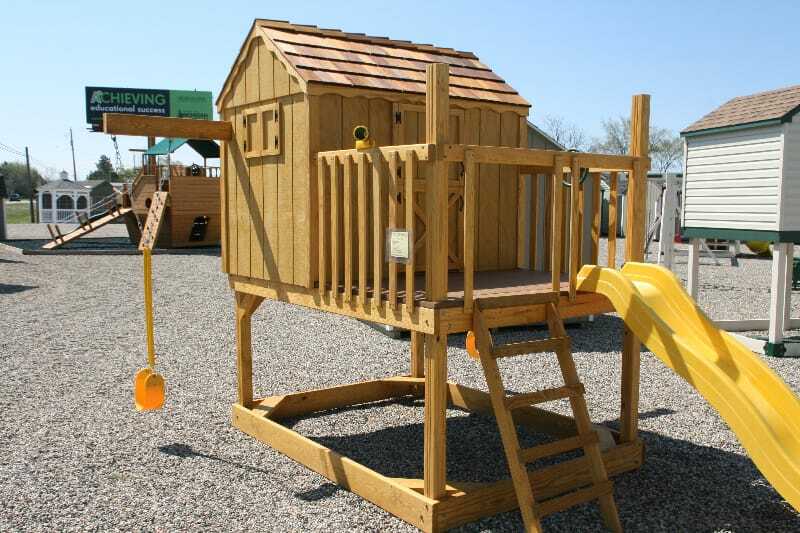 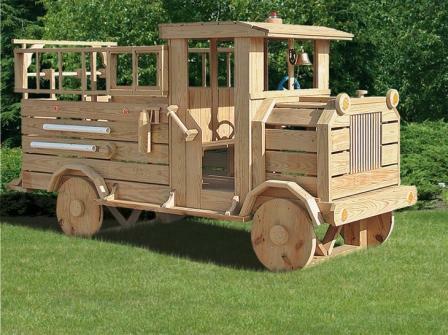 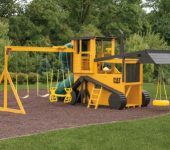 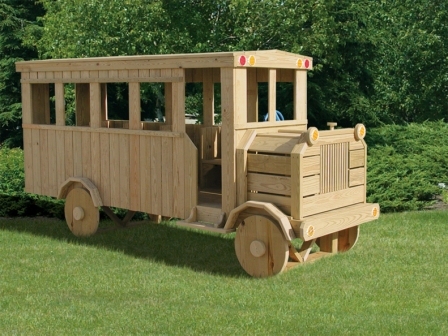 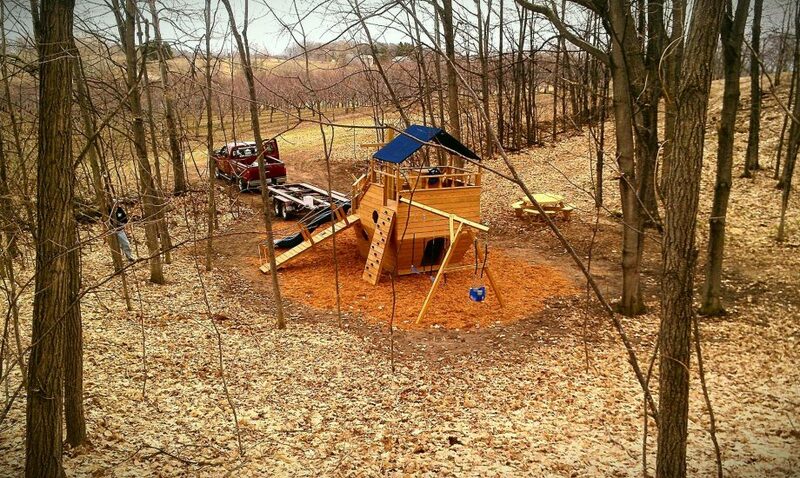 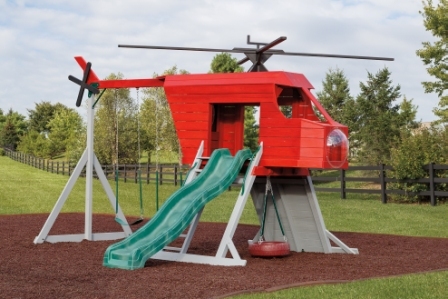 Model 2700 Single Beam- We offer 20 different models of wooden playsets similar to this one. 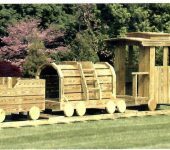 6 Piece Train – Includes Engine, Coal Car, Tanker, Passenger Car, Dining Car, and Caboose. 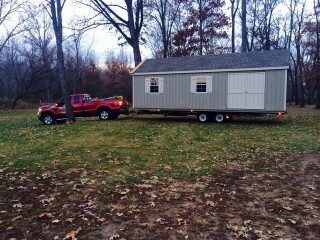 3’9″ wide and 40′ long. 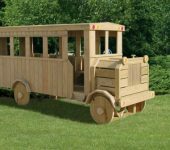 School Bus Features – 12’L x 4’W x 6’6″ H, Steering Wheel, Stop Sign, 9 seats, 48′ sq. 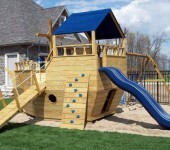 ft. play deck. 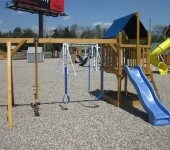 Other configuration also available. 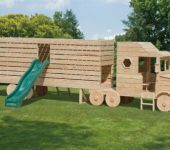 Semi Truck Features – 23’L x 4’3″ W x 7′ H, Steering Wheel, Smoke Stacks (not shown) 2 Seats, Bunk Bed, 8′ Wave Slide, Entry Slide. 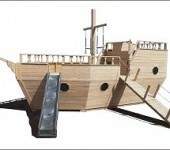 Other options also available.